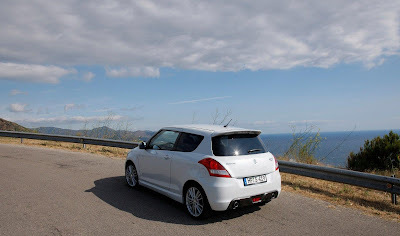 The previous incarnation of the Suzuki Swift Sport has its own cult following when it launched back in 2006, thanks to nimble handling, minimal body roll, and sporty ride, but can the new Swift Sport match others in a world controlled by 200bhp+ (203PS/149kW) hot-hatch models? 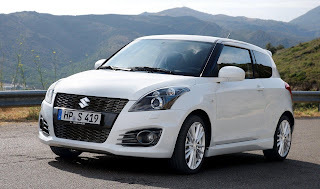 Suzuki has adopted the “if it's ain't broke, don't fix it” approach when it came to designing the new Swift Sport, so the design is evolutionary. The newcomer is easy to distinguish against the regular Swift, thanks to minor styling cues like 17” alloy wheels, deep honeycomb grille, tinted headlight clusters, rear grey fog light housing, and sharp-looking front fog light housing. 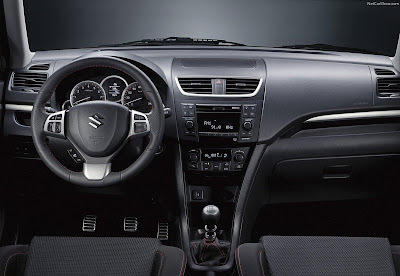 In the cabin, a few 'Sport' emblems, red-stitched leather steering wheel, and deeply-padded seats are the only things that separate it from the standard Swift. The dashboard is wonderfully simple to use and the clean design helps lend a contemporary look. The Swift Sport is based on the Swift SZ4 so it's equipped with ESP, cruise control, USB port, Bluetooth, climate control, x7 airbags, height-adjustable driver's seat, and a rear spoiler. While no five-door model is planned, the three-door makes entry tricky when one tries to access the rear bench. Once there, passengers are treated to a fair amount of legroom, although headroom is a little tight for tall passengers. The trade-off for good legroom is a tiny boot and at 211 litres, its among the smallest in class. 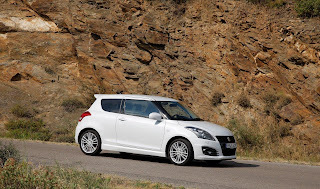 Low road and wind noise makes the new Swift Sport a great place to be, and the much-needed sixth-gear aids refinement. Once the revs pile on, the engine can sound thrashy but the twin exhaust pipes make themselves heard, giving a beautiful raspy burble. Only one engine is available on the Swift Sport, a 134bhp (136PS/100kW) 1.6 litre naturally-aspirated VVT petrol engine with 160Nm (118lb-ft) of torque. While that may sound dismal, most of that torque is available lower down the rev-range, making the Swift Sport feel very nippy. 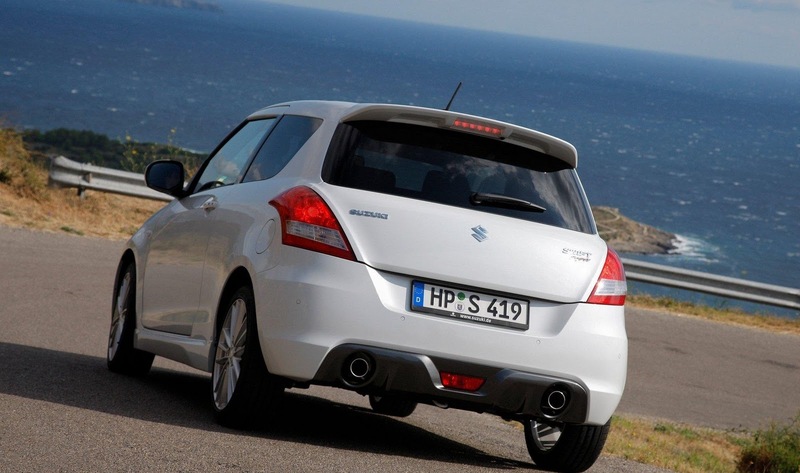 The Swift Sport can sprint to the 62mph (100km/h) mark in 8.7 seconds. From around 4,500rpm to the redline, the engine is at its happiest, feeling responsive and quick. 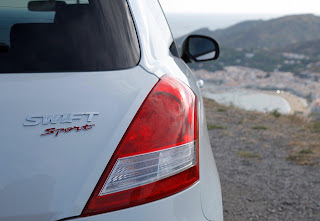 With CO2 emissions of 147g/km and combined fuel economy of 44.1mpg (6.4l/100km), the new Swift Sport offers lower running costs compared to its predecessor. 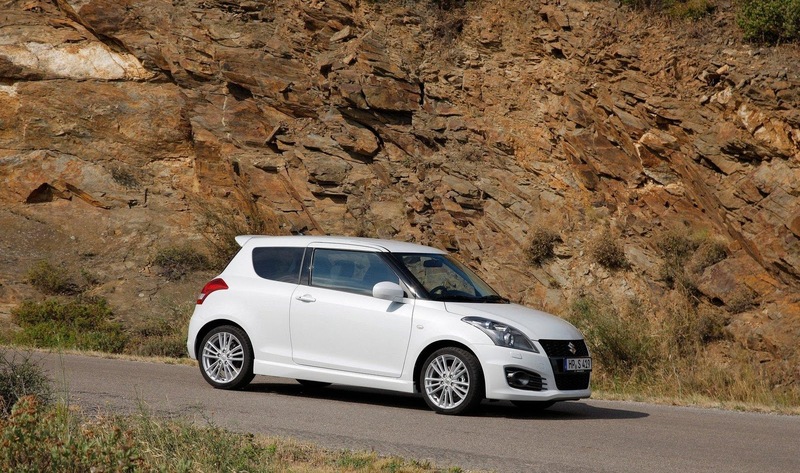 Behind the wheel, the Swift Sport feels more planted around corners over the regular Swift, feeling light and agile. That's because the Sport variant has a bespoke suspension system, allowing for well-judged steering and virtually zero body lean. 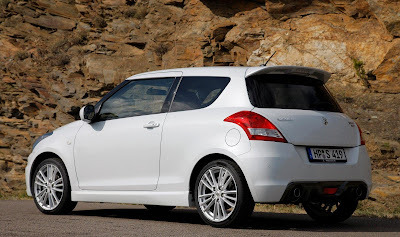 The Swift Sport still rides very well, even on 17” alloy wheels, soaking up lumps and bumps without any fuss. If you're in the market for a junior hot-hatch, you can't go wrong with the new Swift Sport. It's nimble and economical, features a rev-hungry engine, and a possible low price point, at £14,000, will make it an enticing proposition.